DOT officials and representatives from Sargent Corp., the contractor, answered questions about the project during an open house Thursday. 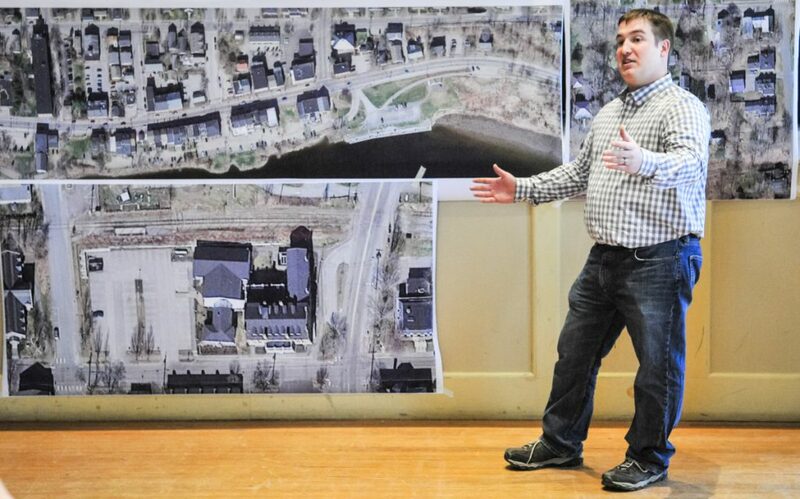 HALLOWELL — The highly-anticipated Maine Department of Transportation Water Street reconstruction project is set to begin about a week ahead of schedule, Project Manager Ernie Martin said Thursday. Starting Monday, the contractor — Sargent Corp. — will begin moving vehicles, equipment and people into the area ahead of the beginning of the work, scheduled for April 9. The DOT will have an office at 168 Water St. for the length of the project, and Sargent’s project headquarters will be at the old Masciadri accounting building on the north end of Water Street. More than 50 people — including Mayor Mark Walker and councilors Lisa Harvey-McPherson, Diano Circo, Mike Frett, Kara Walker, Maureen Aucoin and Lynn Irish — attended an open house with Martin, other DOT officials and representatives from Sargent Corp.
Beginning Monday, the transportation department will rebuild a 2,000-foot stretch of the busy corridor — part of U.S. Route 201 — starting 0.1 mile north of Winthrop Street and extending 0.42 mile south to the city’s boat launch. The project, which is expected to cost nearly $5 million, should be completed by October, Jean said. It will take all of next week for construction equipment and vehicles to move into the area. Signs marking the detour re-routing motorists and bicyclists onto Second Street will be posted starting Monday, and Jean said they would like to see the detour in action for a day or two before putting shovels into the ground. “It’ll disrupt the flow a bit through downtown, but once the motorists get the hang of it, I think it’ll be pretty smooth,” Jean said. Martin said the plans call for contractors to work Monday through Thursday from sunrise to sunset and from sunrise to 3 p.m. Friday. 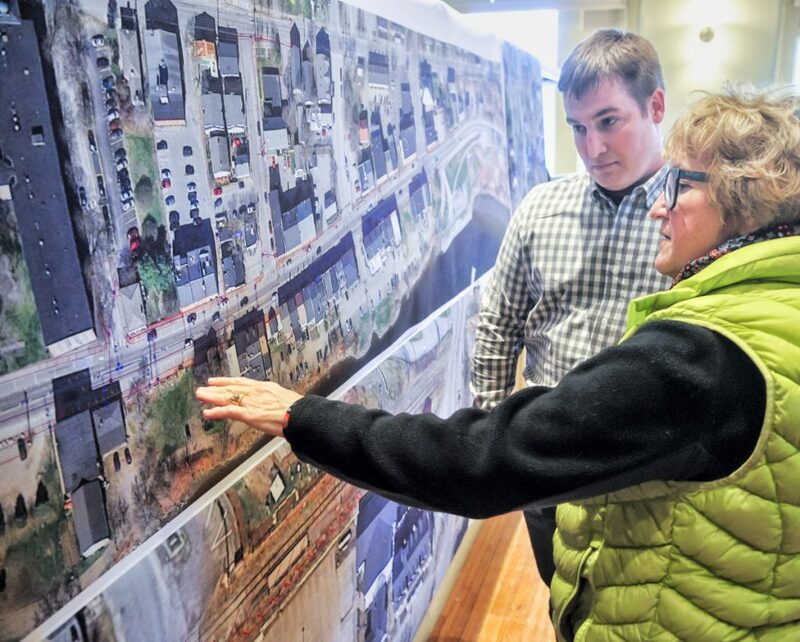 Martin said there might be five 24-hour work periods at the intersections of Temple and Water streets and Winthrop and Water streets, but that won’t be determined until the project is underway. “Don’t take the schedule here as gospel, because there are a lot of things that can happen during the construction project,” Martin said. The project will reduce the crown in the road, something the city had been hoping for decades would happen. Last year Hallowell voters approved a $2.36 million bond package that included $600,000 toward the Water Street reconstruction. Jean said weekly updates will be posted online and he will be available at the site, along with representatives from DOT, to answer questions and address concerns throughout the course of the work. “We know construction is disruptive to towns, to its businesses and residents,” Jean said. 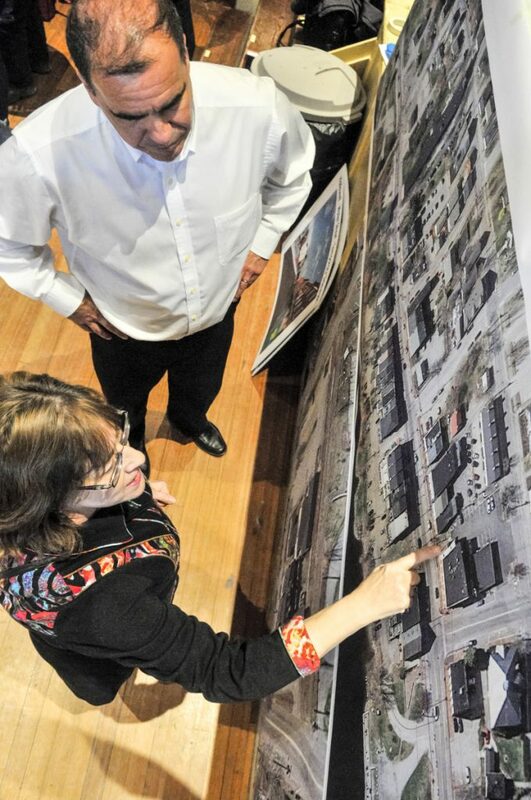 The plan hasn’t changed much since it was announced more than two years ago, which Martin called “remarkable.” It calls for work on the east side of Water Street to start April 9 and last about 12 weeks; work on the west side of the street is scheduled for July 16 to Sept. 14. He said contractors will work on side streets in between working on Water Street, and there will be no work or detour during Old Hallowell Day, on July 21. The detour during the reconstruction will re-route drivers onto Second Street and past the city’s current fire station. Hallowell broke ground on a new station in September that should be completed within days. When the sidewalks on each side of the street are torn up and paved temporarily, there also will be an 8-foot-tall chain-link fence with green mesh to protect people from the construction. Martin said LED rope lights might be atop the fence to illuminate the sidewalk, and artwork will be hung from the fence following a mural painting event April 7. Communication is always the key with these types of projects, Martin said. He will act as a liaison, along with City Manager Nate Rudy, and others from DOT and Sargent, and will facilitate conversations among residents, business owners and contractors. Information will be posted on the department’s website and its Facebook page. There will be email alerts, newspaper ads and weekly contractor updates. The department also will use the Hallowell Board of Trade’s communication network. The work on the east side of Water Street should be completed by June 29, Jean said, and it will continue on side streets throughout July until after Old Hallowell Day. Construction workers will re-open that side of the street and begin working on the west side. Jean said that work should be done around Oct. 5.